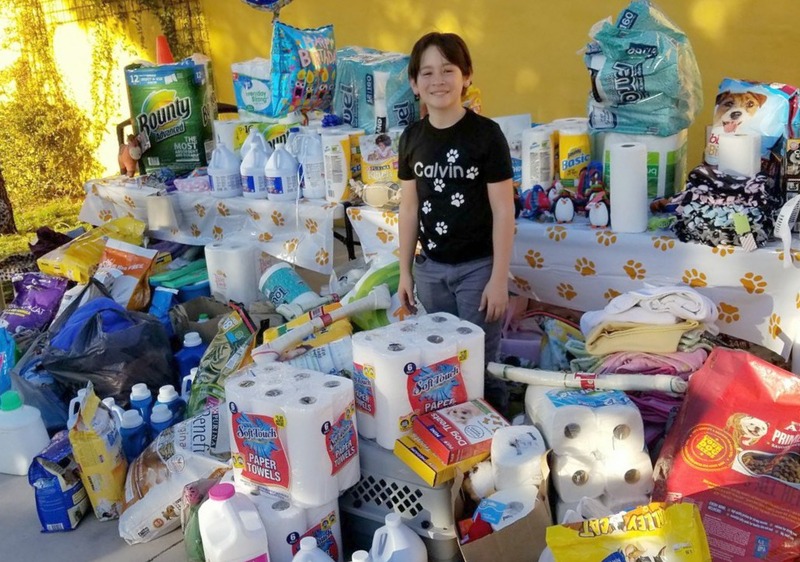 This year, Calvin is turning 12, and he is asking for donations to benefit both the Christian Center Food Pantry, AND the Boulder City Animal Shelter! Come by Bicentennial Park (999 Colorado Street) on Saturday, February 9 (2019) from Noon – 4pm. If you bring in a donation for either charity, you’ll receive a raffle ticket. A certain someone will be dressed as a CAT grilling Hot Dogs (get it, hot DOGS…!) and they’ll have music and other fun stuff! Animal Shelter Items – Purina brand dog, puppy, cat or kitten chow, paper towels, bleach, laundry detergent, non-clumping cat litter, blankets, towels and carriers. If you have any additional questions or wish to help in some way with the event, feel free to reach out to mom Christi Cook at 702-218-7131. We’ll hope to see you there, and to see Calvin pull in a great haul of helpful items to help both of these worthy organizations!